A strategic sales plan can help the sales team achieve its goals and objectives within the time period that the business management or the sales manager has set. Even with the time constraints and other demands that the sales team should consider, it is still imperative for a strategic sales plan to be realistic and attainable. Knowing how to keep the document measurable and time-bound can make it easier for the sales team to execute action plans and incorporate strategies in all sales activities. If you want your sales action plans and strategies to be organized and properly developed, coming up with an effective strategic sales plan is the best thing to do. The development of a strategic sales plan starts with the firm decision of creating one. 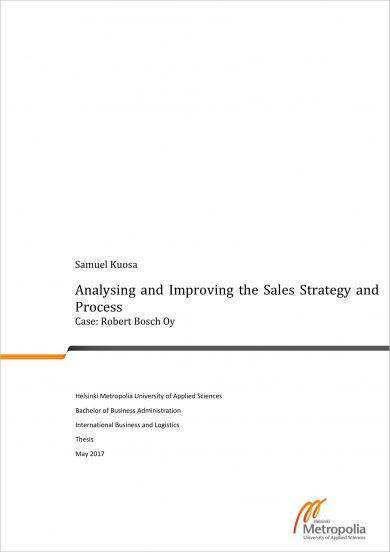 Hence, you have to be prepared when making this document as there are several factors and elements that you need to look into to ensure the efficiency of the strategic sales plan’s usage. 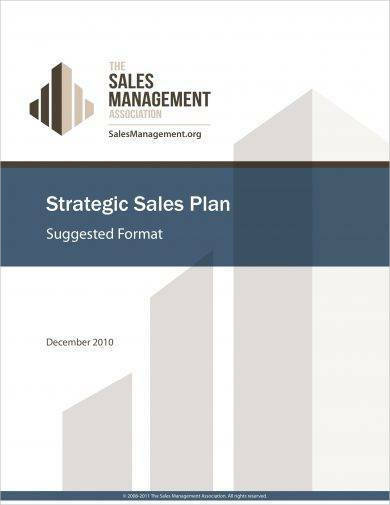 We have listed a number of strategic sales plan examples in PDF that can act as your formatting guides and content development references. 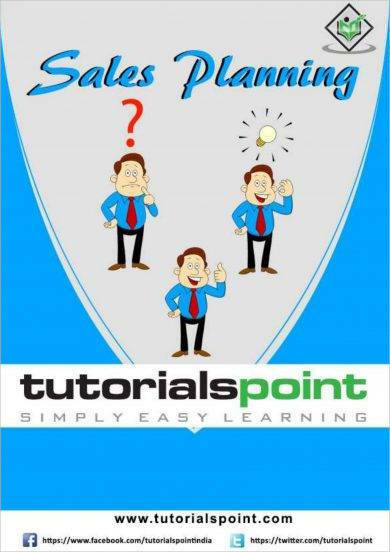 Download these examples in this post and make sure to read the discussion that we have incorporated in the list so you can be well guided when making your own strategic sales plan. One of the first things that you have to look into when making a strategic sales plan is the current condition of the business environment. Most businesses create strategic sales plans every quarter or every year. There are also some who can develop this document on a monthly basis depending on the nature of operations of the business or the kinds of goals and objectives that are needed to be achieved by the sales team. You may also see transition plan examples. With the duration of the time between the updating of each strategic sales plan, it is essential for you to ensure that the current or existing condition of the business is considered so that you can align and incorporate strategies and action plans that can also help realize the vision and goals of the business. Always review the current business and operational statistics of the business. Know how the company is doing especially in relation to its sales so you can create a strategic sales plan that can fit with the existing needs of the business. You can also evaluate the daily sales plan of the business so you can be more detailed when putting together all the information in your strategic sales plan. Develop a SWOT and competitor analysis. Knowing the strengths and weaknesses of the business as well as the threats and opportunities that it needs to prepare for and face can help you become more objective yet tactical when making the strategic sales plan. This can provide more favorable results to the business in the long run. Set your sales goals and objectives depending on the requirements and aspirations of the operations. Moreover, you have to look into the current and potential client or customer hold of the business. This can help you understand more details about the elements that can affect the purchasing and decision-making processes of your desired audience. You may also like weekly plan examples. Develop a sales statement that can address concerns about your current sales operations. It is important for you to know the issues, pain points, and other negative or weak areas that the clients of the business are observing. This will allow you to develop offers that can make current clients and sales leads to believe in your business and its brand. 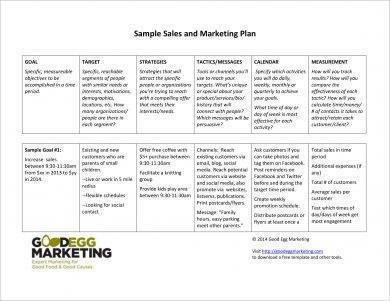 You may also check out simple business plan examples. 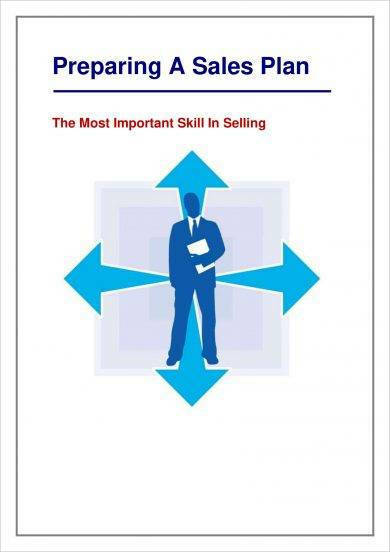 Consider the statistics that are compiled by the sales team or the sales department. You have to evaluate the sales trends that are happening in the business and the external environment. Doing this can point out all the factors that result to the level of desirability and attractiveness of the business in the marketplace. You might be interested in work plan examples. In any circumstance or undertaking, you need to have a full understanding of the driving force that allows you to be proactive when the talks about achieving your desired state or condition surfaces. As a business entity, this leads to the development of objectives when creating documents and other materials like a strategy sales plan. You may also see quality plan examples. Listed below are some of the reasons why it is important for you to identify the objectives that you would like to achieve with the help of a strategy sales plan. If you have an objective in mind, it will be easier for you to come up with the strategies that you will be needing to target your desired output. With this, you can define the things that you would like to achieve and the reasons on why you would like to do so. The directive that you can have with the help of objectives can make the process more output-centered. You may also like advertising plan examples. Ensuring that you are aware of the objective of the business and the sales team allows the entire sales team to have a foundation or a base to rely on. The stronger your foundation is, the most likely that you can accomplish your vision and fully execute the action plans that you have thought of. You may also check out event plan examples. The objective of the strategic sales plan can present the things that you need to give focus on. These things comprise of the areas of the business, the factors that can affect potential results, and the elements that you need to work with to achieve your goals. 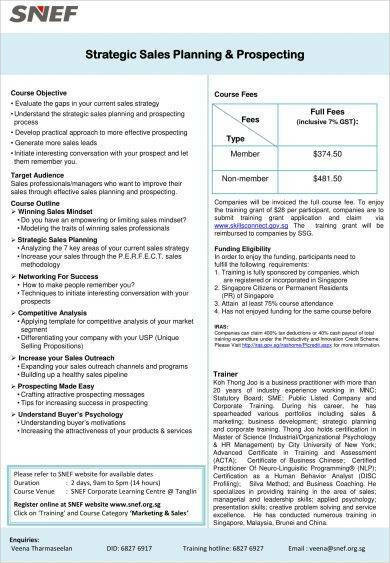 Through this, you can answer the questions that can provide clarity to the effective and efficient usage of your strategic sales plan. Having an objective can make you more conscious not only with the needs and wants of the sales team, but of the entire business and its other departments as well. Hence, a strategic sales plan must go well with a business strategic plan and all the other action plans of the company. Always keep in mind that different divisions work hand in hand so that the actual objectives of the company can be achieved. The strength of the sales team and its incorporation to the other parts of the business allows a stronger action plan and strategies to be implemented. What Makes a Strategic Sales Plan Effective? If you want to create the best strategic sales plan for your business, you have to make sure that you will clear all the questions that you have in mind about the drafting of the document. This can help you start writing the strategic sales plan with a specific goal in mind and with a particular directive. 1. Have a realistic and measurable number of the quota that you would like to achieve. This can be based on the number of clients that you need to close a deal with, the number of sales leads that you can convert into new customers, and/or the kinds of transactions that you need to fulfill and accomplish within a given time period. You may also see annual plan examples. If you have the numbers already, you can have a more in-depth process in which you can evaluate the strategies and action plans that will allow you to achieve the quota that you have set. 2. Make sure that you are aware of your competitive advantage. Knowing how to use your advantages and strengths at their maximum level can set you apart from businesses that offer the same products, services, and/or deals in the marketplace. You may also like job plan examples. 3. There should be an incorporation of a territory sales plan within your strategic sales plan. Know the action plans and strategies that are needed to be done. More so, know the particular entities who will be held responsible in ensuring that all plans are executed. 4. Know the kind of clients or customers that you want to attract. Having the idea of what you find with your clients in terms of demography, purchasing ability, and other activities or measures can lead you to the development of a strategic sales plan that can directly get the attention and potential approval of your target market. You may also check out personal plan examples. Why Is It Necessary to Create a Strategic Sales Plan? 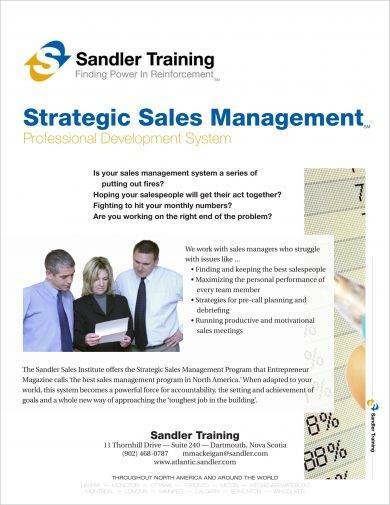 A strategic sales plan can help the sales team and the business prepare for the risks of different sales activities. This will help every entity to look into all their responsibilities so that threats can be minimized and that risk effects can be controlled. This document can also make unforeseen circumstances become more tolerable. You may also see financial plan examples. A strategic sales plan can present the long-term and short-term goals of the sales team. Hence, organization can be achieved in all the processes that they will immerse or partake in. 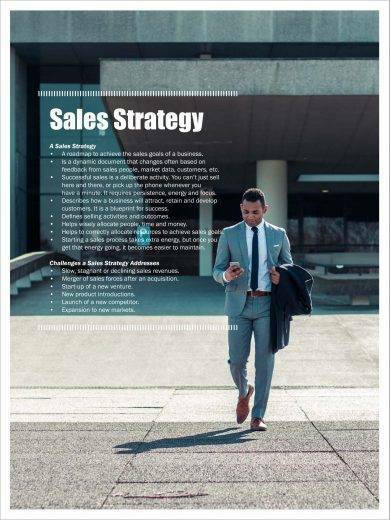 It is important for these goals to be listed so that the strategic sales plan can showcase all the tactics that can help the sales team proactively get its targets. A strategic sales plan can help your sales team identify the gap between its current performance with the desired performance that the business and the management would like them to have. 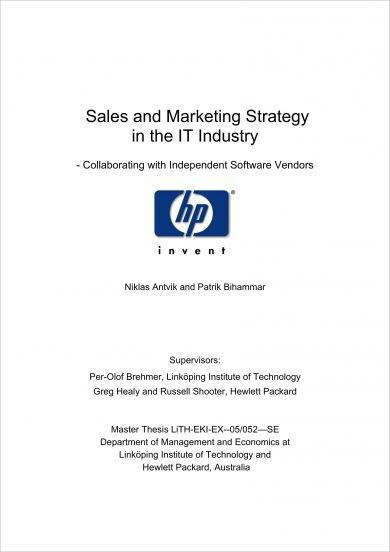 Hence, this document serves as the building block of the sales team’s road to further successes. You may also like assessment plan examples. 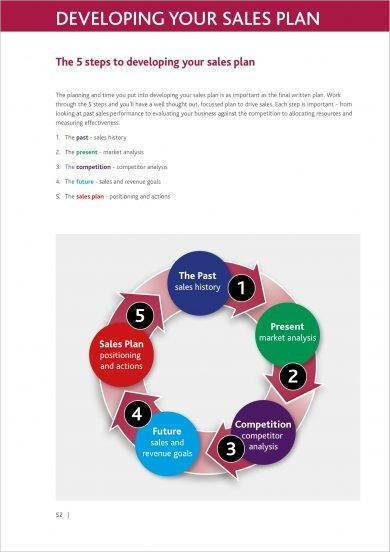 A strategic sales plan is a critical document that, when done right, can contribute not only to the improvement of business sales but on the increased productivity of the sales team and the continuous growth of the business as well. The tips that you can follow if you want to be properly guided in the development of a strategic action plan are listed below. 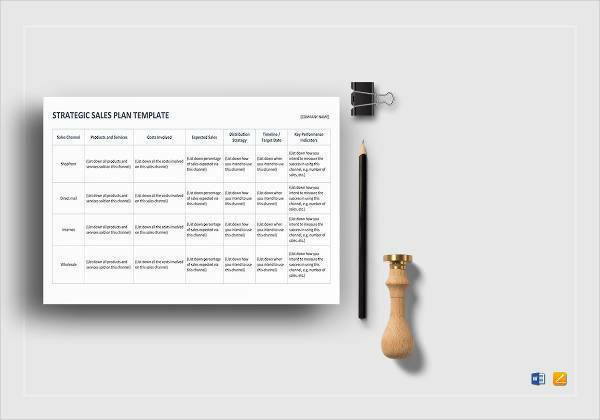 Plan the content that you will put in the strategic sales plan with the help of outlines, summaries, and general checklists commonly used for sales planning processes. Format the document properly so you can present your thoughts in a clear and understandable manner. Make sure that all strategies and simple action plans included in the document are aligned with the timeline that you have developed for implementation. Seek for the insights, suggestions, and comments of the management and other decision-makers of the business and within the sales team so you can improve the overall content of the strategic sales plan. Just like when developing a marketing project plan or any other business, strategic, and/or action plan, it is beneficial on your part if you will use templates when formatting the document that you want to have. Using other references like the downloadable examples in this post can be a great help too.